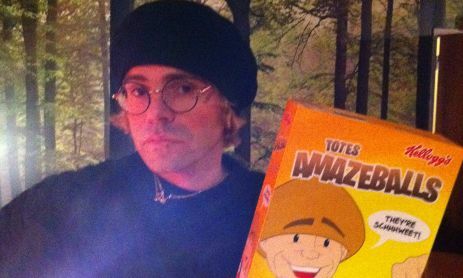 Kellogg’s has developed a new cereal called Totes Amazeballs, after Charlatans front man Tim Burgess tweeted the idea. The new cereal contains cocoa pop rocks, marshmallows, shortbread bits and raisins and features a cartoon version of Burgess on the box. Before you get too excited though, only one box has been developed for Tim, though numerous requests have been made to Kellogg’s to make the cereal for the public, apparently.